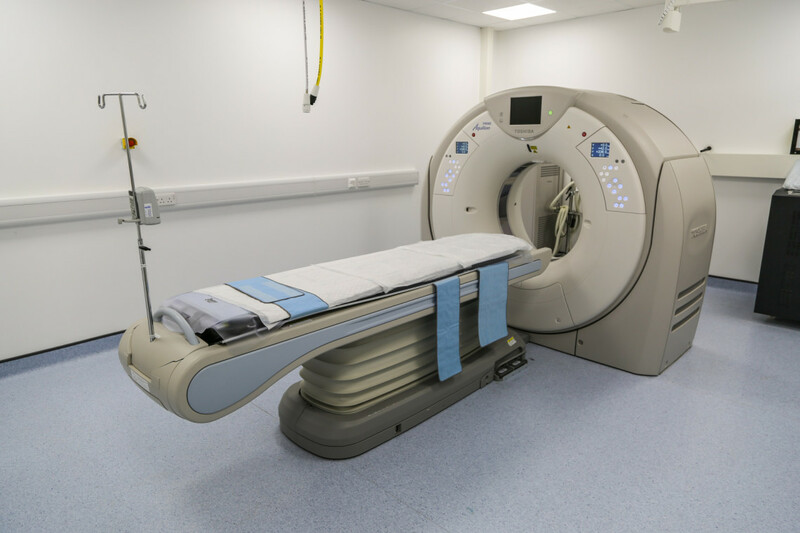 In October 2015 we installed the Toshiba Aquilion 160 slice CT scanners in both our Eashing and Guildford hospitals to offer the very latest and very best detective technology to our patients. They are two of the most advanced CT machines in the UK, providing excellent image quality within seconds of scanning time. This state of the art machine allows us to use sedation on our patients rather than general anaesthetic which presents a much lower risk to our patients, particularly with trauma cases. With this multidetector scanner we can produce high-resolution imaging of the thorax, abdomen, pelvis, head, bones and joints with CT angiographic studies, which has revolutionised our ability to view fractures, complex joint disorders, limb deformities and bone-invading cancers in 3D. We can now gather all this data in a large dog in less then 15 seconds! We are proud that angiography is now part of our routine service – essential in the early detection of cancer. These advanced imaging modalities enable more accurate and timely diagnosis of both routine and potentially life-threatening conditions.